Understanding the changing role of central banks and their recent novel policies is essential for analysing many economic and financial issues, ranging from financial regulation and crisis, to exchange rate dynamics and regime changes, and QE and prolonged low interest rates. This book features contributions by the world's leading experts on central banking, providing in accessible essays a fascinating review of today's key issues for central banks. 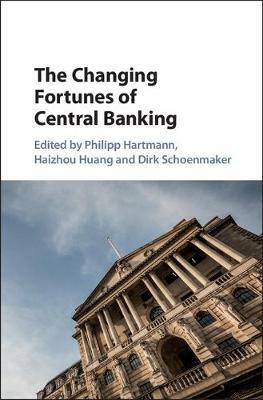 Luminaries including Stephen Cecchetti, Takatoshi Ito, Anil Kashyap, Mervyn King, Donald Kohn, Otmar Issing and Hyun Shin are joined by Charles Goodhart of the London School of Economics and Political Science, whose many achievements in the field of central banking are honoured as the inspiration for this book. The Changing Fortunes of Central Banking discusses the developing role of central banks in seeking monetary and financial stabilisation, while also giving suggestions for model strategies. This comprehensive review will appeal to central bankers, financial supervisors and academics.